I have been genetically blessed with silky straight hair which had (read HAD) a lot of body once upon a time. Call it a result of my stressful life in a pollution – laden city, or a lack of proper care, it has turned extremely brittle and dry. 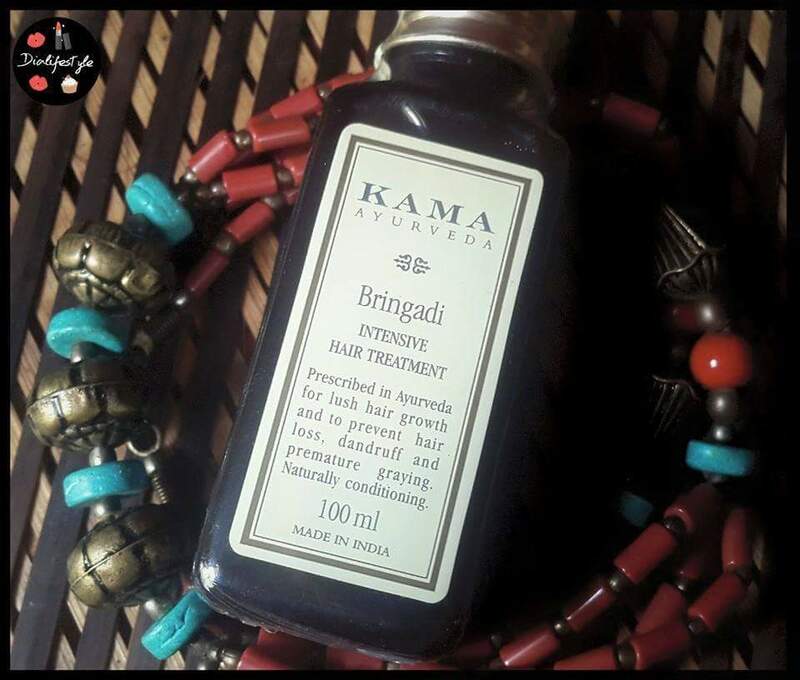 I had been looking for a solution and in the process came across the Kama Ayurveda Bringadi Oil. Sesame works wonders on hair. During my days in college, I remember making my own hair oil by mixing Castor Oil with Coconut oil and infusing the goodness of Sesame seeds in it. 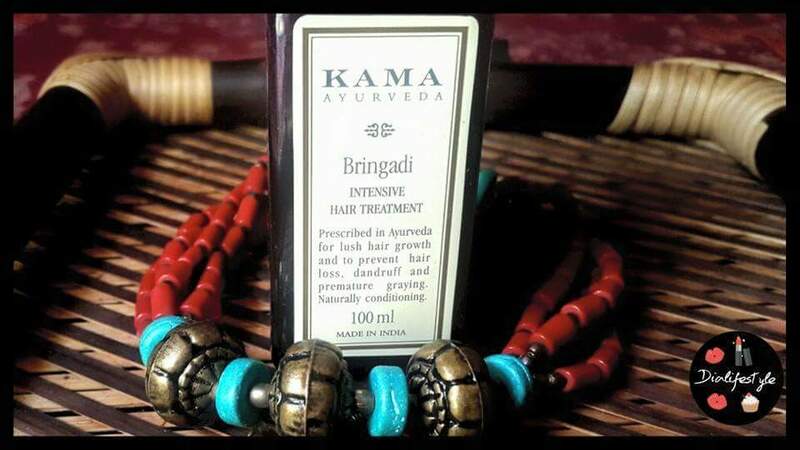 I have used the Bringadi oil for over a month and have quite loved it. The oil is a little on the heavier side with a runny texture. You must be careful of the quantity of oil. For my length of hair, 2 caps of the oil is more than enough. The oil has a very strong Ayurvedic smell which I found rather relaxing. The oil sticks to the hair, hence it must be applied to the scalp and massaged well. Keep the oil for an hour and wash it off. I generally use an Ayurvedic cleanser. My hair is visibly softer and is well conditioned. Though I cannot really see much difference in my hair fall, the itchy scalp has been considerably cured. Also, the Ayurvedic fragrance is a major stress buster. It comes at 450INR for a bottle of 100 ml. Though a little on the expensive side, a 100 ml bottle lasts for a long time. I bought a second bottle when I had consumed it half-way, yet the first bottle is not over. The oil comes in a plastic bottle with a screw cap. It also has an additional stopper to avoid leakage. Works as a wonderful conditioner. Keeps hair soft and shiny. The Ayurvedic Aroma is a stress buster, provided you like it. The packaging makes it easy to carry around. Since the oil is a little heavy, it takes time washing it off. An additional dropper would have made using it a little easier. I would definitely recommend this oil if you are looking for a solution for dry hair and itchiness in scalp. Since I have never had a dandruff problem, I cannot really comment on that. It is definitely a value for money and the bigger bottle of 250 ml is more economical. 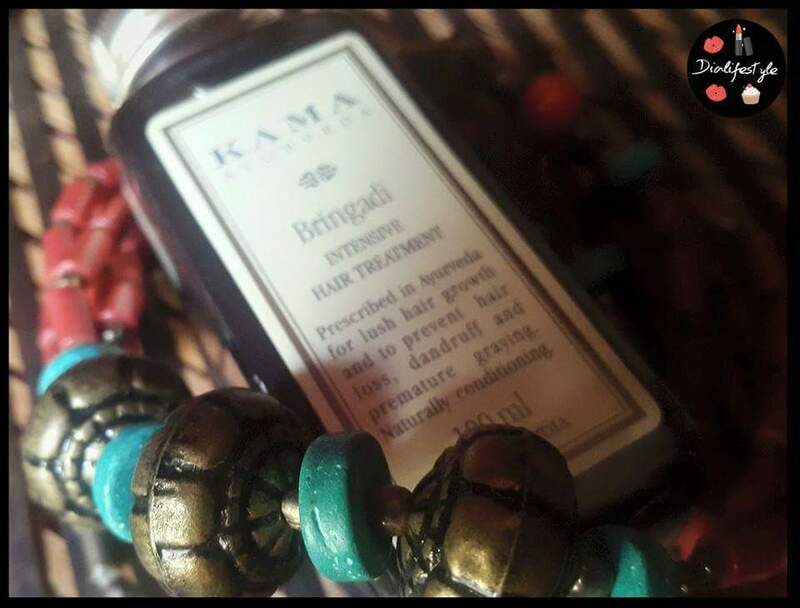 Do share your experiences with the Bringadi oil or any other hair oil that you loved. Follow me on Facebook and Instagram for more updates. Sis, i got a frnd whos battling intense hair fall, in fact almost none left! Is this worth recommending? I mean is this product supposed to help hair growth? And if it does, how do you order it? Yes, the price is the major drawback. But the good thing is it lasts for long. Hi pooja. Informative blog. 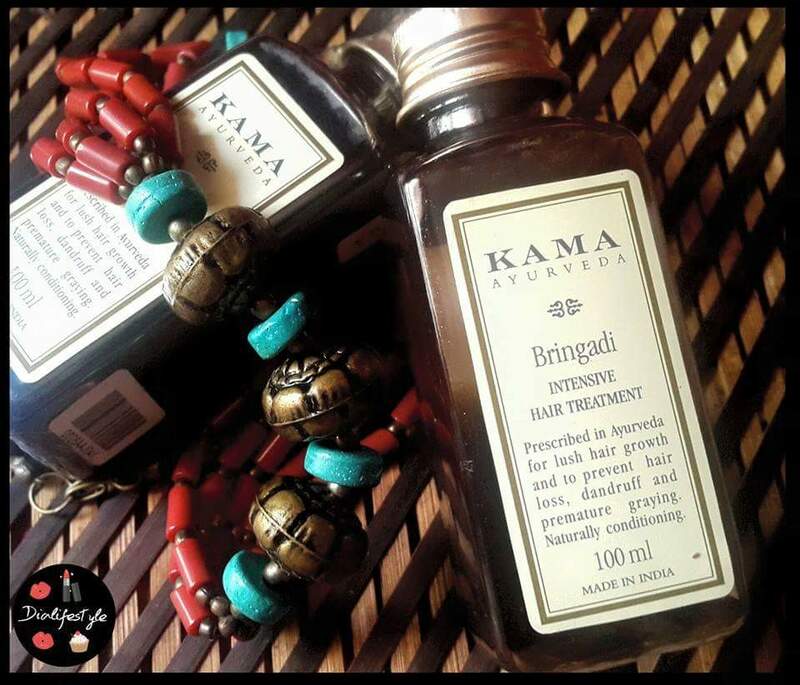 Between kama bringadi and indulekha bringraj oil which one is better? I am confused between the two. This is my favorite product. I usually used it on regular basis. Thanks for sharing.